As many of my followers know, I love shooting sports! It’s where I started but I don’t get back to it too often these days. 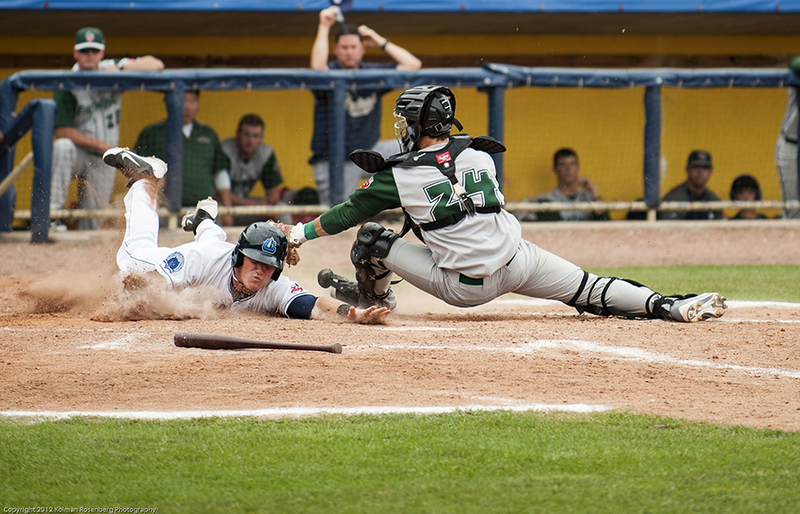 Two weeks ago I attended and shot a minor league ballgame, the Lake County Captains vs. the Fort Wayne TinCaps. It was a relatively slow moving game until late in the 7th inning when the Captains tied the score and then broke loose in the 8th inning to win convincingly. Shooting many sports is a lesson in anticipation. You often pre-focus where you think the action is going to take place. In this case, home plate. 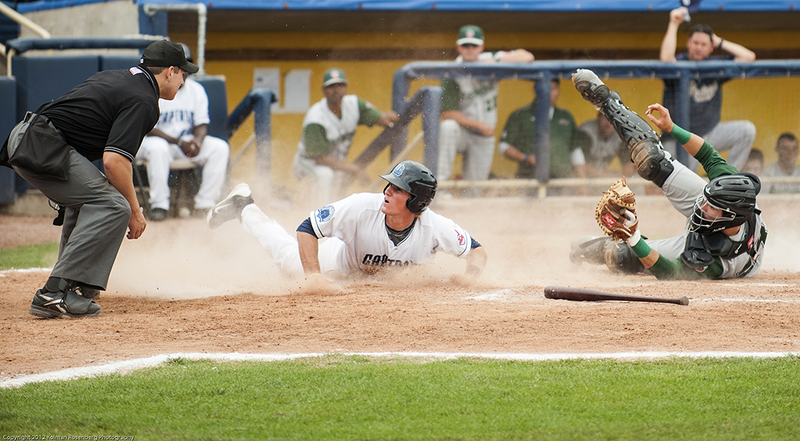 This first in the series of continuous shots shows the Captains player sliding into home. 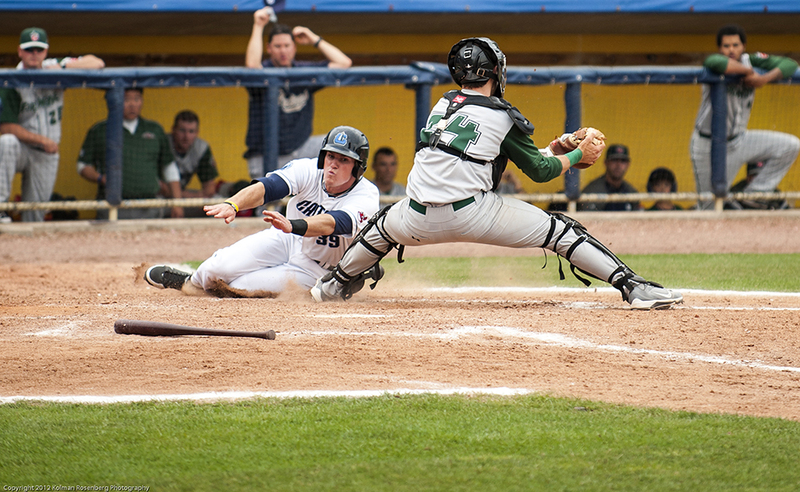 The catcher is effectively blocking the plate which can be seen near the center of the photo. As the runner slides, his eyes are on the plate as he begins to reach for it. The catcher already has the ball in his glove. In shot 2 of the sequence, it’s not clear if the tag has been made yet or not, nor is it clear whether the runner has touched the plate, although it appears that he is still reaching for it. In shot 3 the tag has been made and it looks like the runner never did quite touch the plate and is sliding past it. Shot 4 shows both the catcher and runner looking for the call by the umpire. He was called out! Shooting in continuous mode allows the photographer to capture an interesting sequence of photos. These were actually 4 of 8 in this sequence, but they were the most dramatic. I like the cloud of dust and flying dirt seen in this series. It truly has the look of action and I was glad I stuck around through a fairly slow moving game to capture this sequence in the late innings! 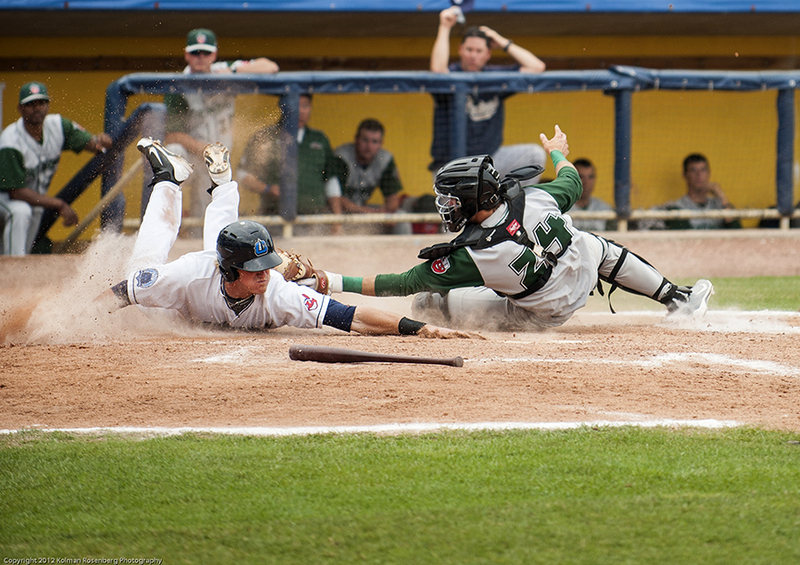 This entry was posted in Uncategorized and tagged action, baseball, Captains, Continuous, Fort Wayne, home plate, lake county, Minor Leage Baseball, Sequence, series, slide, TinCaps, umpire. Bookmark the permalink. Great action sequence – that spray of dirt really does gift it an almost video-like quality of motion. Thanks Stu. When I view the whole 8 image sequence it very much forms a video!